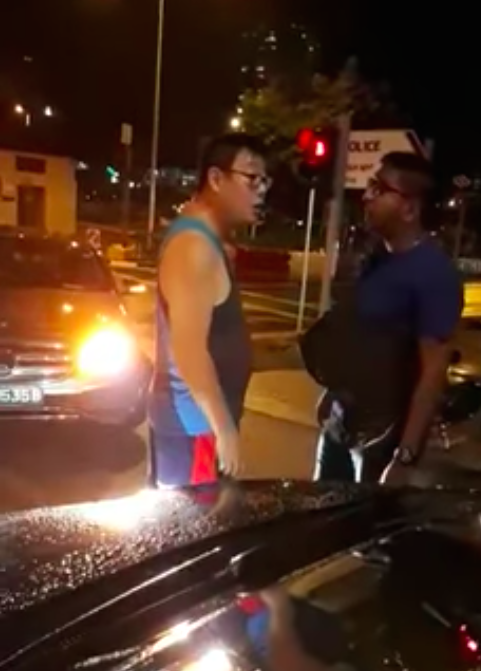 In a video that went viral within an hour since it was shared, a man from the People’s Republic of China (PRC) can be seen picking a fight with two Singaporeans after he crossed the road on a red light, yet continued to insist that he was right in doing so. The video, shared on Facebook page All Singapore Stuff by netizen Patrick Tan received almost 1,000 reactions, about 2,000 shares and 45,000 views within an hour. The man still argues with her in the middle of the road. An Indian man steps in and yells, “It was f*****g green light over there. Here can go walk meh? You Singaporean or not?” He indicates that it was the right of way for cars, and not pedestrians. The man from China refused to budge despite both the Indian man and the lady yelling at him and asking him to move off of the road. The video ends with the lady shouting “Go back to your country!” and others presumably in the line of cars, asking the man to move off the road. Netizens praised the Indian man for helping the lady and standing together because of how unreasonable the man from China was.